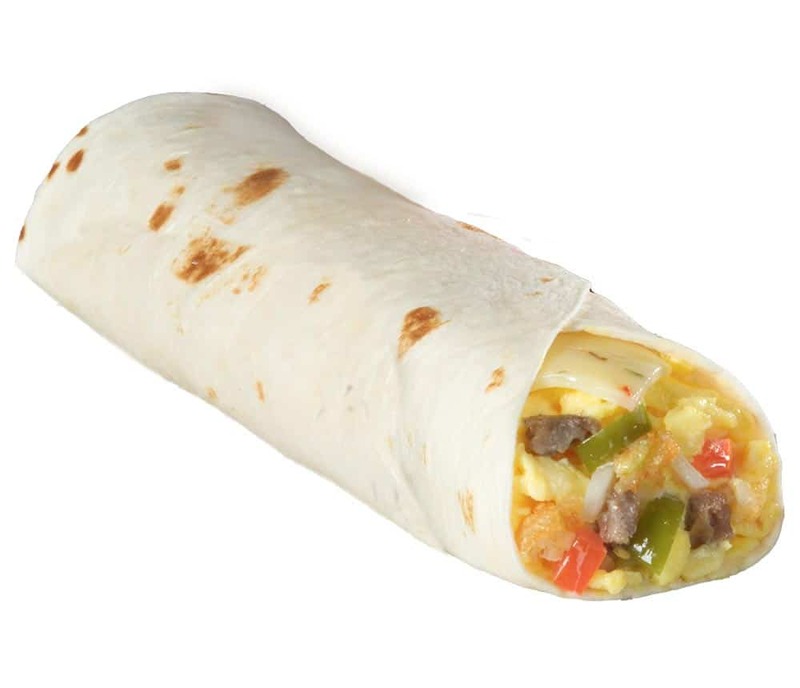 Braum’s Grande Breakfast Burrito is a breakfast burrito with a kick! We start with a warmed flour tortilla and we fill it with fresh scrambled eggs, lots of country sausage, mounds of pepper jack cheese, fresh onions, and tomatoes. But that’s not all! We add spicy jalapenos and crispy hash browns! Start your day the Braum’s way!